HMSI (Honda Motorcycle and Scooter India) has begun deliveries of the much-awaited CB300R in India. The first lot of bikes have been handed over in Chandigarh, Jaipur, Delhi and Gurugram. Theretro naked motorcycle was launched at Rs 2.41 lakh (ex-showroom India). At this price point, it undercuts the likes of the KTM 390 Duke as well as the BMW G 310 R. It will be available at 22 Honda Wing World dealerships across the country. In terms of design, the CB300R borrows many of its ‘Neo Sports Cafe’ look from its older sibling, the CB1000R, which was recently launched in India. 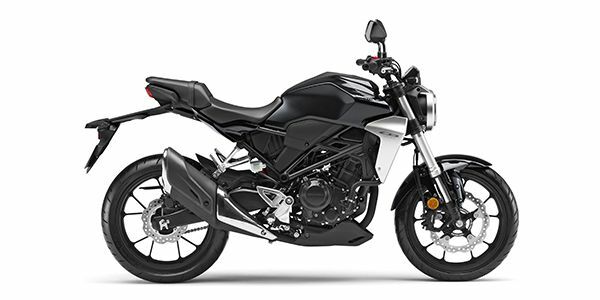 Honda has also launched a number of newaccessories to go along with the CB300R.Powering it is a 286cc, liquid-cooled, single-cylinder motor derived from the existing CBR300R. It is detuned for India and thus makes, it makes 30.44PS of power at 8000rpm and 27.4Nm of torque at 6500rpm. The engine comes mated to a 6-speed gearbox. Being a scaled-down model version of the CB1000R, the CB300R boasts of a huge array of features. This includes an all-digital LCD instrument console, full LED lights, dual-channel ABS and a hydraulic clutch. Based on a tubular steel frame, suspension duties are handled by 41mm USD forks at the front and a monoshock unit at the rear. Braking duties are handled by single 296mm disc with a Nissin radial calliper at the front and a 220mm single disc at the rear. Dual-channel ABS is offered as standard. Honda CB300R prices start at Rs. 2.41 lakh (Ex-Showroom). Honda CB300R is available in 1 variants and 2 colours. Gets CB300R-inspired styling but features a smaller 184cc engine.